These are about 3" long. If you know what hey are and have used them you'll know their name. This one can be mounted on a board and then used on a table top. 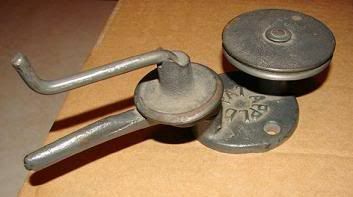 The large diameter wheel is about 3"
The upper tool appears to be a jack. When the teeth of the handle are turned the upper surface either raises or lowers depending on which direction you turn the handle. 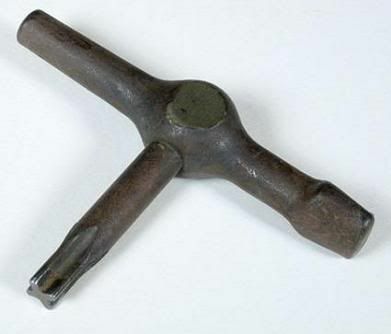 The bottom looks like a tool to roll wire into sheet metal to form a bead. Top item - Chase key and quions? 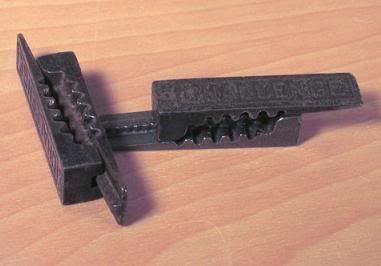 Used by printers to lock up a block of type in the frame for a press. dzierzak wrote: Top item - Chase key and quions? That is correct!!! 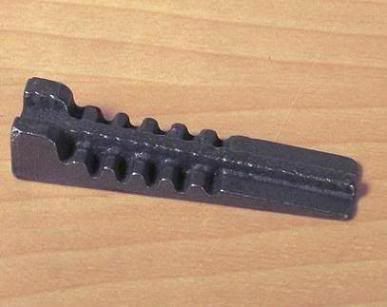 Used for locking up a block of type in a "Chase" wood shims (furniture) were also used when the quoins were not sufficient to get it tight enough. The "chase" was the heavy duty metal frame that carried the locked up block of set type. Today the system is still used by "die cutters" they lock-up a steel rule die in the chase using the quoins and furniture. The chase is then placed into press that is had fed or possible auto fed. Usually small quantity runs are processed this way. 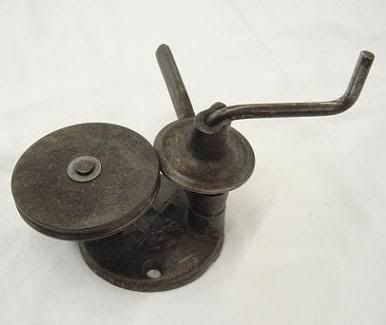 The other item is used for reworking the threads on mason jar lids.